Sasaki Kogei is a large-scale wooden crafts factory that manufactures warm products finished by hand. It also holds workshops on the warmth of wood and the joy of object making. A snowboarding World Cup event was held in Asahikawa in 1999. It was then that the idea for this wine stand, based on the shape of the snowboard, was born. 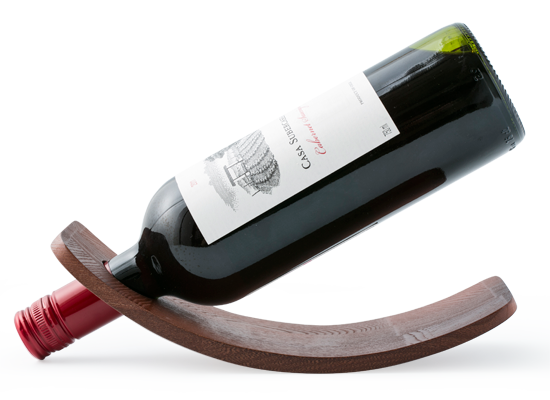 The hole holding the neck of the wine bottle bears a great load, but deformations are prevented by carving out the curved shape from high-strength bonded wood. Since the bottle rests at an angle, with the mouth lower than the body, the cork does not dry, thereby preventing oxidation. It can be used with bottles of all shapes, and will hold steady even with half-empty bottles. 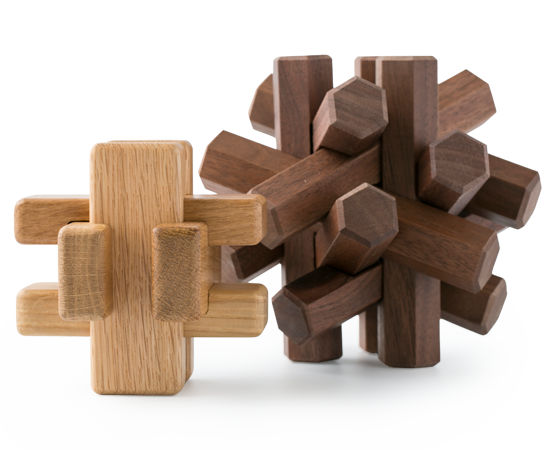 This is a traditional puzzle consisting of pieces of solid wood. There are three levels of difficulty, and when one gets the knack of it, it can be put together in a matter of seconds. The materials used include oak, which produces acorns, and walnut, one of the world’s three great decorative timbers. 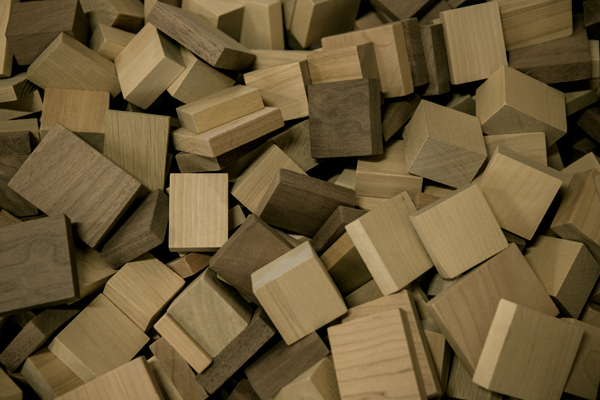 The corners have been rounded, and the carefully finished pieces give off a gentle feel of wood. The pieces have been coated with antibacterial urethane to prevent scratches, smudges, and the growth of bacteria, making them safe and fun even for small children. Born in 1974. Sasaki worked at Sasaki Kogei between 2002 and 2010 and went independent when he established Yu-Hoku Co., Ltd., which sells wooden craft products, in 2010. With the sudden passing of Sasaki Kogei founder Kunio Sasaki in 2011, he became the company’s second-generation president. In charge of sales and manufacturing, Sasaki carries on the spirit and techniques of object making from previous generations, while also focusing on the development of new products and distribution expansion. with ideas from a new generation of designers. 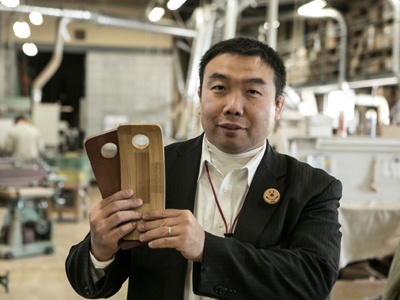 Sasaki Kogei has one of the country’s biggest production facilities in the industry, enabling it to mass produce high-quality woodcraft items on a short period of time. It was one of the first among Asahikawa’s factories to introduce large-scale processing machines and laser engraving and laser cutting systems for woodworking, and it can handle all processes from product development to production under one roof. While it has incorporated mechanical tools into the production process, the details are still worked manually by craftsmen. By combining the two methods, Sasaki is able to efficiently output products with warmth. The idea for most of the 500 products in its lineup originally came from the craftsmen in its workforce. 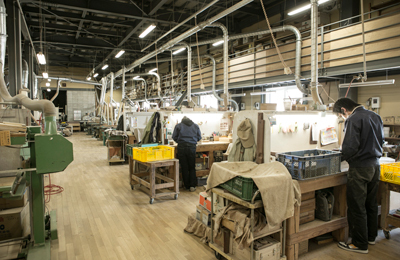 Sasaki Kogei is one of the largest woodcraft factories in Japan. A large volume of lumber is processed and high productivity is maintained through mechanized processing. 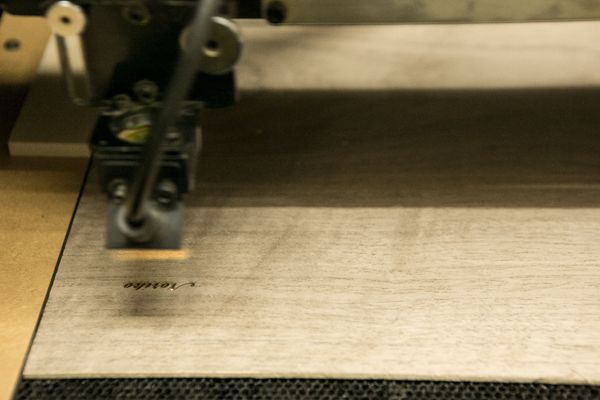 The products, the details of which are tooled by hand, retain a sense of warmth. 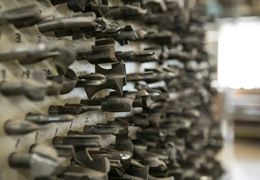 The factory’s craftsmen use over 500 knives, each of which has been specially ordered for a specific process, to manufacture its products. Woodcraft maker Sasaki Kogei was founded in 1976 by Kunio Sasaki. Initially, it operated out of an apartment room, making handles and processing frames as a subcontractor for a furniture maker. 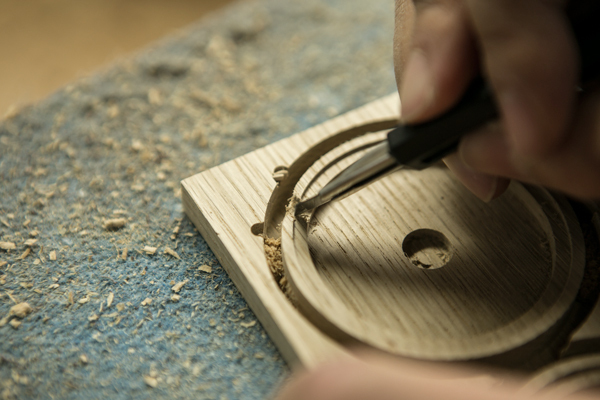 Sasaki Kogei shifted from being a subcontractor to a woodcrafts maker when it started manufacturing wooden lighter cases using materials leftover from making furniture. 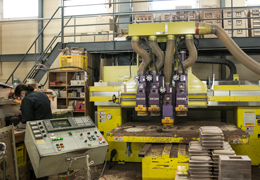 It built a factory featuring the latest production tools in 2007 housing a corner where visiting schoolchildren—both from the neighborhood and across the country—could experience woodworking. 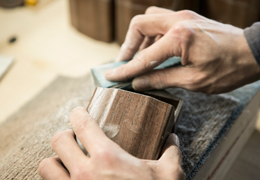 Some craftsmen of Sasaki Kogei serve as instructors, showing the visitors the warmth of wood and the fun of woodworking. After founder Kunio Sasaki passed away suddenly in 2011, Yujiro Sasaki took over as the second-generation president. 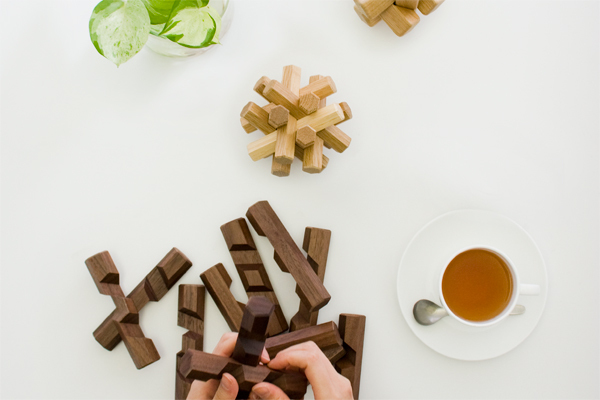 It is actively moving into new areas in both product development and market development, such as collaboration with designers and expansion into overseas operations.